Serving Montrose area families since 1988. Service & Professional excellence for a quarter of a century. Compassion & Sincerity during the loss of a loved one. When someone you love has just passed away, there are many responsibilities that must be taken care of immediately. 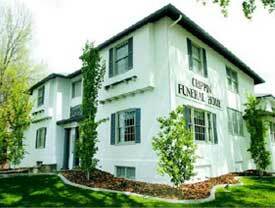 Let Crippin Funeral Home assist you in this time of need. We can be reached by you, the hospital, or a nursing home 24hrs a day. Do not hesitate to call at any hour if you have any questions before or during your time of need. When you call Crippin Funeral Home, we will promptly make all of our services, facilities, and experience available to you. We will immediately and competently assume all the responsibility that you need assistance with. Our professional knowledge of state and federal laws will ensure that the extensive paperwork that often becomes necessary after death are appropriately handled. Such as life insurance, social security benefits, and veterans burial allowances. We believe we have a unique responsibility to honor our Veterans and Military Community. We will help you handle every detail; from military benefits to legal requirements. We will assist you in deciding the time, place, and type of funeral service. We will help you arrange the kind of service that will best meet your needs, so your only consideration should be to your family’s wishes and desires. When you meet with us to make arrangements, we will ask for personal information about the deceased in order to fill out the death certificate and prepare the obituary. Since some of the facts may be difficult to obtain, you may want to locate the necessary information and make it available during the arrangement.